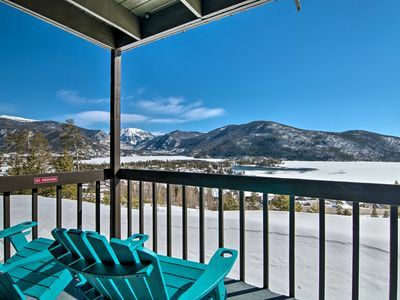 Come summer or winter, there's no better place to book your mountain getaway than at this Granby condo. 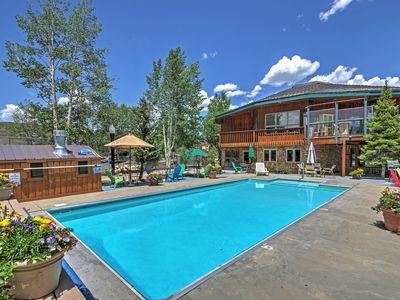 Located at The Inn at Silver Creek, you'll have access to a swimming pool, hot tub, fitness center, tennis court and so much more. 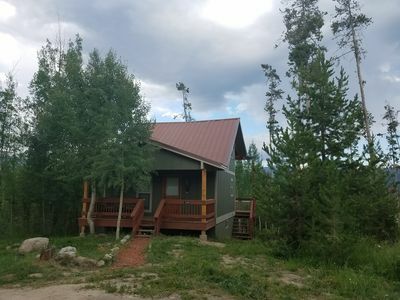 The beautifully remodeled mountain retreat is situated between Winter Park and Rocky Mountain National Park, offering 1 bedroom, a loft and 2 full bathrooms for 6 guests to enjoy. 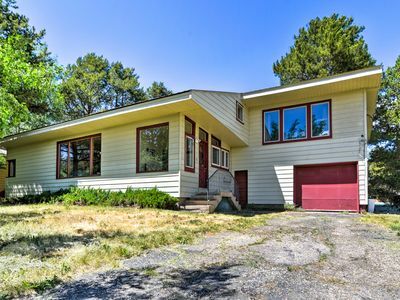 From here you're minutes to Lake Grandby, Grand Lake, the town of Granby and more. 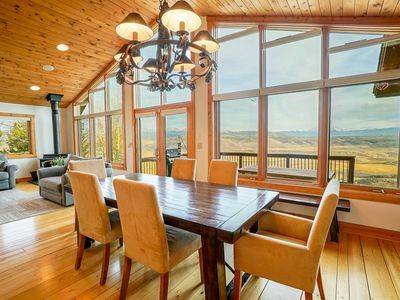 Through the front door, a wall of windows gives way to mountainous views and a floor-to-ceiling stone fireplace, which creates a warm atmosphere. 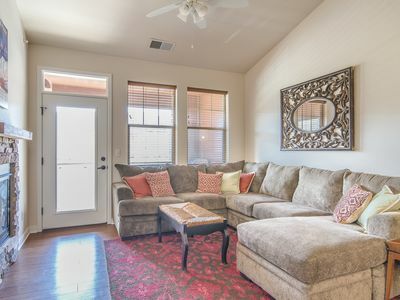 Rustic wood accents echo the outdoors while comfortable furnishings make for a cozy living space to call home. The open concept layout is perfect for entertaining, while the upstairs bedroom and loft provide plenty of peace and privacy. 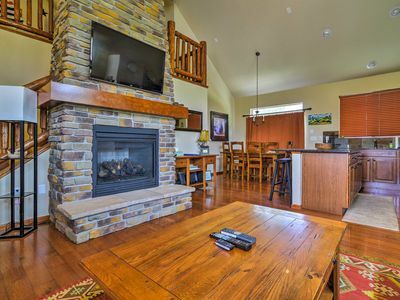 Light the wood-burning fireplace and tune into your favorite show on the flat-screen cable TV, or connect to the wireless internet access and surf the web. 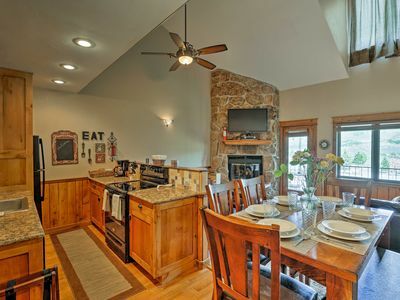 Eat like you were at home while away in the fully equipped kitchen. 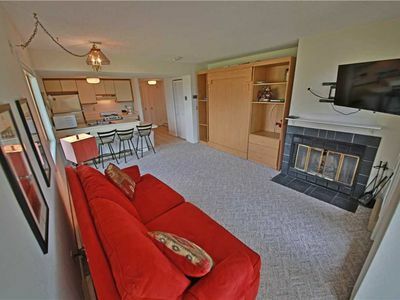 The kitchen features full-sized appliances plus a knife set, coffee maker, blender, and microwave. Cook all of your favorite meals with ease and serve at the dining table. 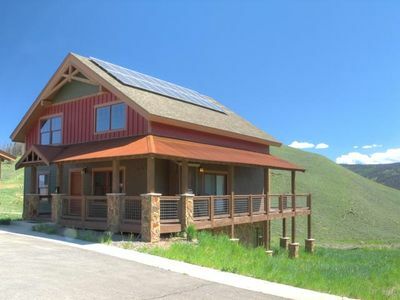 The private covered deck looks out to scenic views of Granby, Colorado. Enjoy coffee and cocktails while seated at the outdoor dining table in the comfort of the shade. 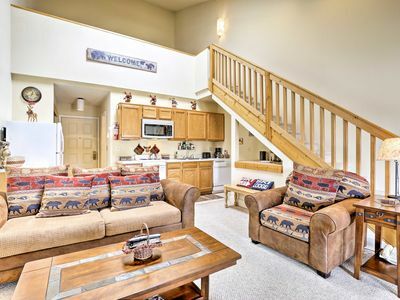 Upstairs, the loft and bedroom offer a queen bed, twin sleeper sofa, and a twin bed with a twin trundle bed. Additional sleeping arrangements can be made on the convertible twin ottoman in the living room, complete with a memory foam mattress. 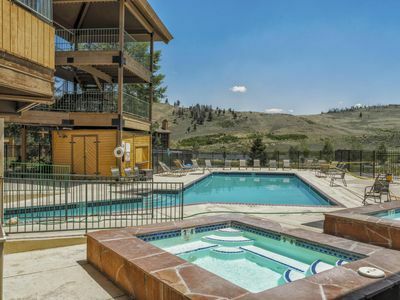 Enjoy access to fabulous amenities at The Inn at Silver Creek during your stay, including an indoor/outdoor swimming pool and hot tubs, a fitness center, sauna, steam room, tennis courts, a game room, and a clubhouse with a bar and flat-screen TVs. 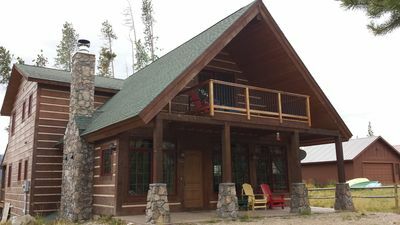 All-season outdoor recreation abounds just minutes away from the condo! 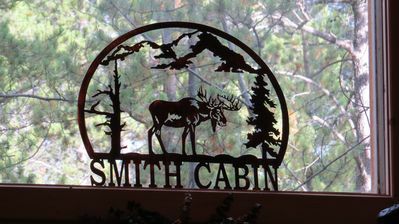 From hiking, biking, boating and fishing to skiing, snowboarding, snowmobiling, and tubing, there's something for everyone no matter the season. Hop on the shuttle and head to Winter Park, which is just a 24-minute ride away. 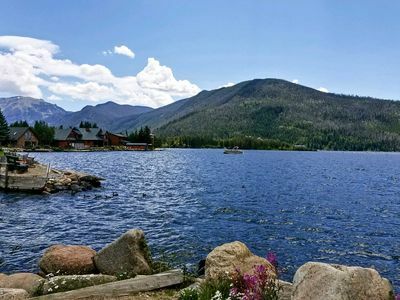 Winter Park is home to powdery slopes, summer trails and plenty of shopping and dining opportunities. Check the calendar for seasonal events, including the Switchback Music Festival, the Chocolate Festival, Mountain Oktoberfest, Whiskey and Wings and more. 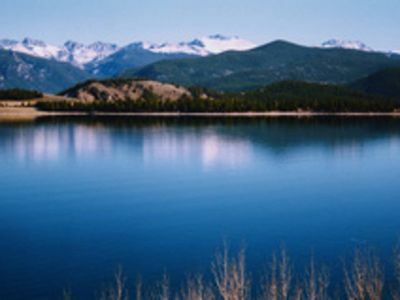 Spend the day on the water at Grand Lake, just 25 minutes away, or Lake Granby, only 15 minutes away. 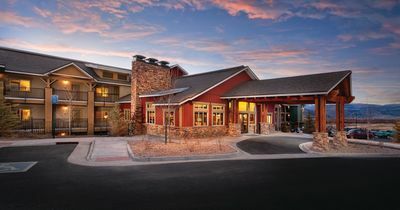 If golf is your game, there are several courses to check out nearby, including the course at Granby Ranch. For a day of utter relaxation, visit the Hot Sulphur Springs Resort & Spa ideally located 20 minutes away. 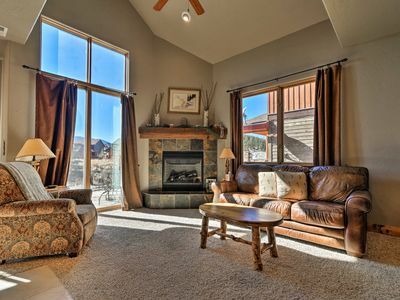 Book your mountain paradise vacation soon! 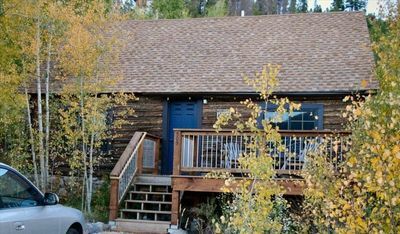 Cabin Located in the Village of Grand Lake, Colorado! 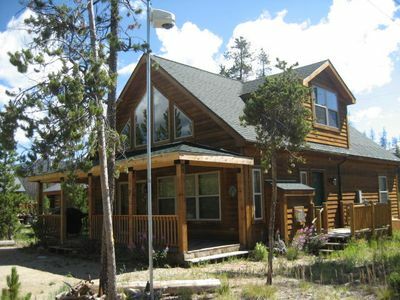 Lakeside Condo - Walk to Downtown Grand Lake! 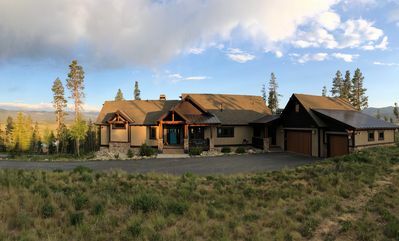 Stunning continental divide views with an outdoor fire pit, private hot tub and room to spread out.